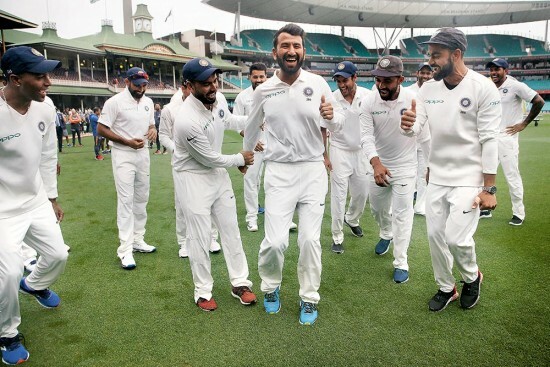 The Indian team’s historic 2-1 Test ser­ies triumph, the first in 71 years—over 11 series—in Australia, may have shown that the players under Virat Kohli work like a well-oiled machine, but an opposite state of affairs persist in the inner workings of the Board of Control for Cricket in India (BCCI) and its affiliates— confused, fragmented and acrimonious. When the Supreme Court, while hearing the 2013 IPL betting-fixing case, ordered cricket adm­inistrative reforms in July 2016, it gave the BCCI six months to implement them and hold fresh ele­ctions. But even after nearly five years—the case was registered in the SC in March 2014—and following scores of court orders, including five jud­­gments, there’s no knowing when full compliance would happen. To look at it from a different angle, seven Chief Justices of India have retired since March 2014. As soon as the case reached SC (from the Bombay HC), BCCI mandarins, showing remarkable foresight, allocated a colossal Rs 330.32 crore “to comply with the Supreme Court order”, whatever they might have deemed it to be. 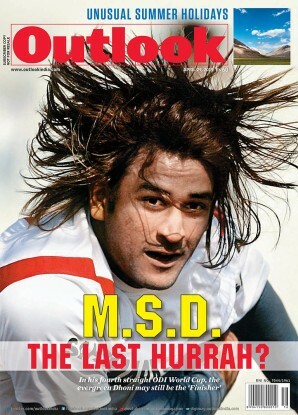 Indeed, this is the longest and most serious crisis in the 90-year existence of the BCCI. Although the betting-fixing punishment part of the IPL scandal has been dealt with, the reforms bit, which the SC added on its own, still hangs fire. A present BCCI office-bearer compared the current, seething chaos with the Nazi rule in Germany that began in 1933—five years after the BCCI came into being. As the case drags on, thanks to the BCCI and its affiliates coming up with innovative ways of resistance to change, the administration of the wealthiest cricket body in the world is split down the middle. In its previous avatar, the infighting was between the BCCI office-bearers and the SC-appointed Committee of Administrators (CoA), constituted to implement the Lodha Committee reforms. But after the four-member CoA was red­uced to two, after resignations, the existing members are constantly at loggerheads. A few contentious issues that raged in recent mon­­ths divided the CoA, with chairman Vinod Rai, a retired Comptroller and Auditor General, and 62-year-old former India captain Diana Edulji, who played 20 Tests and 34 ODIs between 1976 and 1993, in opposite camps. According to a BCCI insider, the fissure began with the issue of employees’ appraisal about eight months ago. Since then Rai, 70, and Edulji haven’t seen eye to eye. The schism in the CoA is over appointing a women’s national coach, promotion/increment in BCCI and #MeToo charges against Johri. “Both haven’t been on the same page over several issues. The annual promotions and increment of BCCI employees was the first issue on which their differences came out in the open. Edulji took active interest in the appraisal process while Rai didn’t. The process was handled by BCCI CEO Rahul Johri, who is said to be closer to Rai. The flashpoint reached a climax over the appointment of the women’s national coach, and that is borne out in the strongly-worded, leaked emails exc­hanged between the CoA members,” the INS­ider tells Outlook. The schism within the CoA widened when Edulji wanted Johri sacked summarily over the #MeToo allegations against him, dating back to the time before he joined the BCCI and when part of it too, while Rai formed an independent panel to look into it and took legal advice. The committee gave Johri the benefit of the doubt. Edulji was furious. Not just the CoA, the entire BCCI, including its employees and professionals, are completely fragmented and confused at the moment. Their biggest problem is about who to take orders from and who to ignore. At present, they are heeding Rai, not Edulji—a bold and dominating personality. Besides the CoA, only three BCCI office-bearers are in place—acting president C.K. Khanna, acting secretary Amitabh Choudhary and treasurer Anirudh Chaudhry. But it is the CoA’s writ (read Rai) that is running at the moment. A peeved ex-CJI Rajendra Mal Lodha, whose committee had suggested the historic cricket reforms, points to the six-month deadline for the CoA to execute reforms. “The sole purpose of constituting the CoA was to implement the ref­orms, not to manage the day-to-day affairs of the BCCI. I never thought that the ad hoc arra­ngement [CoA] would continue for two years or so, and the reforms wouldn’t be in place. This has surprised me, shocked me. This disturbs me and perturbs me,” Lodha tells Outlook. The BCCI employees are a dazed, fragmented lot now, not knowing from whom to take orders. At present, they are heeding only Rai, not Edulji. On the other hand, Rai insists cricketing decisions haven’t suffered due to the infighting. “All decisions in the interest of cricket will be taken. All support to the Indian team will be extended. All the suggestions, for example, from the junior teams’ coach Rahul Dravid, are being acc­epted. As for cricket, nothing has been held back—equipment, manpower, pla­yers’ compensation pac­­kage, logistics or facilities provided,” Rai tells Outlook. On general administration, he says it is “not in our hands”—the CEO looks after it—and that the BCCI is in a “state of transition”. All three BCCI office-bearers—primarily treasurer Anirudh Chaudhry—have serious questions for Rai and Johri, saying the CEO can’t be equated with elected officials like them. “Is it too much to ask that those goalposts and boundaries remain consistent and do not shift with different set of facts and circumstances just because someone may want the decisions to be taken in a particular way to suit ‘x’ or ‘y’, or egos? Is it not fair to expect that in the absence of a clear and regular decision from the CoA, finances of the BCCI are not expen­ded? In addition to everything else, this may lead to a lot of audit issues for the BCCI,” warns Anirudh. Rai is looking forward to the January 17 hearing in the SC. “I am looking for just one more hearing. I will sort it out [the mess] by then,” he says confidently. Will that turn out to be the final hearing in the long-drawn case? The past few years have taught us not to be hopeful on that point.